Rumour No. 1: Real Madrid are ‘ready to exploit the uncertainty at Anfield’ by making a £30 million offer for Liverpool captain Steven Gerrard. 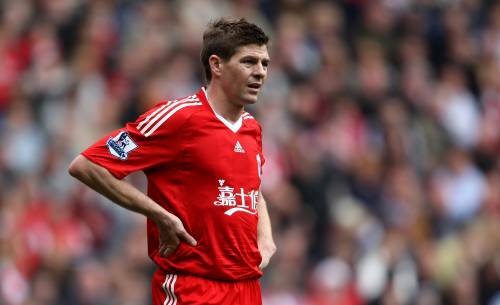 Gerrard, who is said to be both ‘visually and verbally’ at odds with manager Rafa Benitez at the moment, is seriously considering making an exit from his beloved boyhood club in a desperate search for silverware. Rumour No. 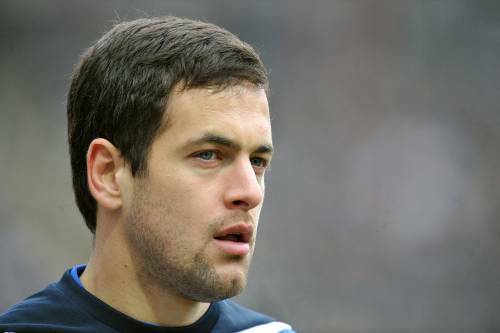 2: Soon-to-be-out-of-contract Chelsea winger Joe Cole has set his sights on joining Tottenham after they clinched Champions League qualification on Wednesday evening. Cole is said to be eager to join up with former manager Harry Redknapp but his huge £100,000-a-week plus wage demands could prove to be a pretty hefty stumbling block for Spurs. The Best of the Rest: Staying with Tottenham for a minute, Harry Redknapp is also rumoured to be planning a fresh bid for Manchester City forward Craig Bellamy. Where do these gossip columns get their ideas? Arsenal are considering a move for Villarreal ‘keeper Diego Lopez. Brazilian side Fluminese are in talks to bring 32-year-old Chelsea midfielder Deco back to his homeland. Aston Villa’s Dutch defender Wilfred Bouma will leave Villa Park in the summer to ‘save his career’. Villa also look set to lose Luke Young, who is pining for a move back to London. Sunderland boss Steve Bruce is planning to heavily trim his squad in the summer. David Healy, George McCartney, Roy O’Donovan, Marton Fulop, Nyron Nosworthy, Teemu Tainio, Daryl Murphy and Phil Bardsley are all set to face the chop. Fulham have made enquiries about Lyon striker Frederic Piquionne. Wigan Athletic are planning a £2.5 million bid for Darren Pratley of Swansea. Bolton are now the favourites to sign Aruna Dindane for £2.7 million from RC Lens. Hull City midfielder Dean Marney is set to join fellow Premier League relegatees* Burnley in a £1 million deal. Villarreal have confirmed that veteran midfielder Robert Pires will leave the club when his contract runs out at the end of the season.